Sitting through the 14 hours of song that make up the three public stages of this competition must be one of the greatest privileges and pleasures that any critic can be granted. The mix of poetry and music that make up the art of song admits of almost infinite variety – ranging from the lightest and most subtle to something of power and might. This year’s competition encompassed the full spectrum, with a remarkably high standard of musicianship from singers and pianists alike. I certainly would have blanched at the jury’s seemingly impossible task of singling out 12 from the original 32 singers to go forward to the semi-final and from there the 4 who would make it to the final. That being admitted, like many members of the audience, I found myself at odds with some of their choices – of which more will follow – but having narrowed the field to four, and hearing those four sing their final programmes, I was in total agreement with their placings. 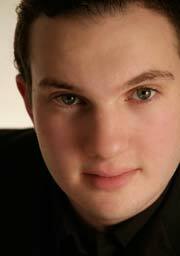 The winner was Marcus Farnsworth, a baritone still studying at the Royal Academy of Music. His approach to lieder seems to be straightforward, nothing is exaggerated and he uses considerable care and intelligence in matching words to music. His three programmes had been judged to raise the bar a little higher at each stage. In the final he made much of Loewe’s bagatelle Hinkende Jamben but it was surely his selection from Poulenc’s Chansons gaillardes that really sealed his win – capturing the quick changes of mood and ephemeral humour of these notoriously difficult pieces to near perfection. Second prize went to another baritone Benedict Nelson, who has a luscious voice and would, in my opinion, have won this contest on most nights of the year. However, he had sung a huge programme in the semi-final round (including Schubert’s Erlkonig and Poulenc’s Deux poemes de Louis Aragon) and was also rehearsing the role of Ping for ENO’s new production of Turandot during the day. Under the circumstances it was small surprise to find him sounding slightly tired and I sensed that he was reaching for colours in his voice that he couldn’t quite find on this occasion. I look forward to hearing him on many future occasions. The Third prize winner was the American soprano Erin Morley. All the way through the competition she had chosen songs which presented significant technical challenges: a couple of Rossini pieces with trills and coloratura decoration, big leaps from one end of the register to the other, and a wide range of languages. She has a platform style of pacing backwards and forwards and waving her arms which I found distracting, and although she deserved her prize on the night, she would not have been in my final line-up. The Fourth prize winner was Sidney Outlaw, and African-American baritone who proved something of a sensation. He has a huge voice, and in the first round really gave it full rip to produce a volume that would have filled the Hollywood Bowl with ease. He reigned back a bit later on, but still produced an exciting sound that clearly won him the hearts of his audience. I have no doubt that we will see him back on a London stage before too long, but his choice of repertoire, leaning towards the gospel tradition, was out of kilter with the requirements of this competition. The Pianist’s Prize was awarded to that magician of the keyboard James Baillieu and unsurprisingly, except apparently to the pair in question who had dressed quite informally for the final, he and Gerard Collett collected the prize for the best duo. The un-lucky semi finalists included soprano Laura Mitchell who topped the score list for many of the audience. She doesn’t have a big voice, but it is beautifully controlled. She can do fragile and yet produce the flinty edge that is so essential for the Russian songs that she included in her programme at each stage. I look forward to hearing her Gilda for Pimlico Opera at Cadogan Hall on 20 October. I was also impressed by the Danish baritone Lars Moller. Much of his chosen repertoire was head on macho stuff (Schumann’s Die Soldat, Rachmaninov’s Christ is risen!) delivered with blinding ferocity but when he changed to softer mood he revealed a pianissimo voice of outstanding beautiful. Mae Heydorn, one of the youngest singers in the competition, a mezzo-soprano of real promise, with a sparkling joy in her performance. Polish baritone Stanislaw Kierner. His biography notes that he studied with Thomas Quastoff a year or to ago at the Verbier Academy, and Quastoff’s influence was readily apparent in his portrayal of the emotional character of each song. He was possibly unlucky to have drawn a relatively early morning slot when his voice wasn’t quite in gear, and certainly his adventurous programme made me long for him to have been chosen to go through to the final so that I could hear it in total. As it was I had to be content with hearing Prokofiev’s Lieutenant Kije romance followed by Saint-Saens’ Danse macabre and forego the songs by Guy Ropartz and Paderewski that might have followed. Minette du Toite-Pearce a South African mezzo is almost a contralto – a voice I would like to hear again. Finally a mention of the two singers who had to drop out of the competition through illness. Tenor Kevin Kyle is a versatile performer, evidently as much at home in music theatre as opera, but he has a pedigree of lieder singing from his RAM days and I would dearly have loved to hear him in this environment – as it is I shall follow up via his recent recordings with JCL records. I haven’t heard Gudrun Olafsdottir since she won the Ferrier Song Prize some years ago, but she was a favourite of mine in GSMD opera performances and I was sorry not to be able to discover how her distinctive mezzo voice has matured.